Apparently, the Colonel’s place is quite popular among locals. So are McDonald’s, Dairy Queen and Domino’s Pizza, to name a few fairly recent arrivals. They’re further examples of the so-called “Americanization” of this once quiet and dusty fishing village; the result of progress, which doesn’t sit well with everyone and in fact has some longing for the good old days. 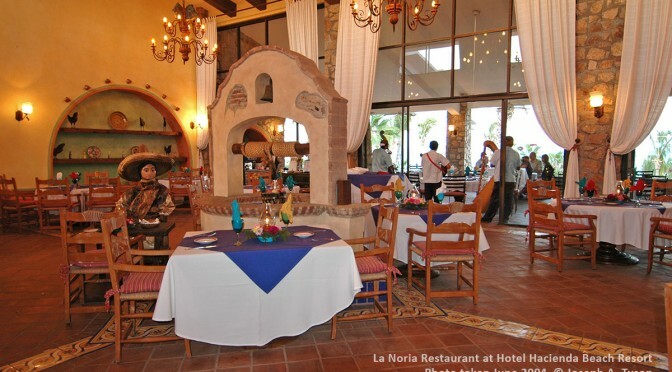 La Noria Restaurant at Hotel Hacienda Beach Resort. Photo taken June 2004 by Joseph A. Tyson. 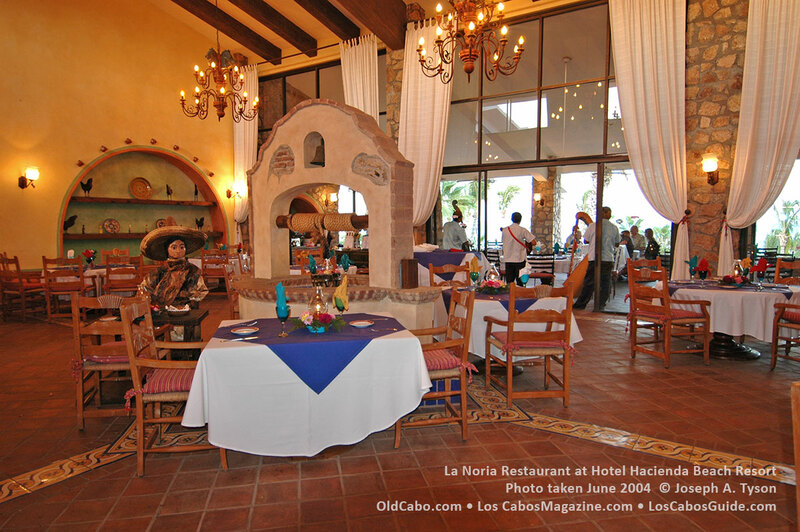 As for Mark Parr, he’ll stick with La Noria, the Mexican restaurant at Hotel Hacienda Beach Resort, which the Parr family happens to own. The food is of much higher quality (the beef is shipped in from the United States); the convenience is unsurpassed.